This article is from the Environmental Leader. nheuser-Busch InBev today committed to seven global environmental goals to reduce water use and water risk, and decrease greenhouse gas emissions, packaging and energy use. Reduce water risks and improve water management in 100 percent of its key barley growing regions in partnership with local stakeholders. Engage in watershed protection measures at 100 percent of its facilities located in key areas in Argentina, Bolivia, Brazil, China, Mexico, Peru and the US, in partnership with local stakeholders. Reduce global water usage to 3.2 hectoliters of water per hectoliter of production. Reduce global GHG emissions per hectoliter of production by 10 percent, including a 15 percent reduction per hectoliter in China. Reduce global energy usage per hectoliter of production by 10 percent. Reduce packaging materials by 100,000 tons. Reach a 70 percent global average of eco-friendly cooler purchases annually. The commitments build on the three-year global environmental targets on water, energy, carbon emissions and recycling AB InBev reached at the end of 2012. In March the brewer announced it hit its goal of using 3.5 hectoliters of water per hectoliter of production and decreased energy use per hectoliter in breweries and soft drink facilities worldwide by 12 percent against a 2009 baseline. AB InBev announced the new goals on its fifth annual global celebration of World Environment Day (WED), an initiative of the United Nations Environment Programme (UNEP). AB InBev cut the amount of waste it sent to landfills by 54.8 percent year-on-year, from 104,946 metric tons in 2011 to 47,341 in 2012, according to its 2012 Global Citizenship Report. In the same period, the amount of materials AB InBev recycled and composted rose by 2.8 percent, from 5,937,251 to 6,102,819 metric tons, and materials used as fuel rose 27 percent, from 6,038 to 7,648 metric tons. Anheuser-Busch InBev and other German brewers want Chancellor Angela Merkel’s government to block any laws that would allow hydraulic fracturing, which, they say could contaminate water used to make beer and hurt the country’s brewing industry. The Association of German Breweries, which represents Anheuser-Busch InBev, Bitburger Braugruppe and other companies say Germany’s fracking proposals don’t protect drinking water and may overstep the 500-year-old beer purity law, Bloomberg reports. The “Reinheitsgebot,” or German purity law, mandates that brewers produce beer using only malt, hops, yeast and water, according to Reuters. A beer association spokesman told Reuters that more than half of Germany’s brewers have their own wells on areas that would not be protected under the government’s planned fracking laws. He says the association wants the government to fund additional research and ensure chemicals won’t pollute the groundwater before it moves forward with any fracking legislation. The €8 billion ($10 billion) German brewing industry employs more than 25,000 people, Bloomberg reports, and carries substantial political clout as fracking becomes an increasingly contentious issue leading up to Germany’s Sept. 22 election. Merkel, who, according to media reports, drank from a 1-liter beer mug at a campaign stop earlier this month, has agreed on draft legislation that would outlaw fracking in some areas. In the US, Sierra Nevada Brewing Company, New Belgium Brewing Company and 19 other craft brewers partnered with the Natural Resources Defense Council last month to advocate for strong clean-water policies. The Brewers for Clean Water campaign aims to protect the multi-billion dollar industry’s No. 1 ingredient: water. Earlier this month, a Duke University study of wells near shale gas drilling sites in Fayetteville, Ark. found no groundwater contamination. Low levels of methane found in samples were mostly from biological activity inside shallow aquifers, not from shale gas production contamination, scientists concluded. Previous Duke studies of the effects of shale gas drilling in Pennsylvania found methane contamination in groundwater, but no signs of fracking fluids. This article from Sustainable Industries examines Heineken USA’s new LEED certification. WHITE PLAINS, NY, Oct. 16 /CSRwire/ – Today HEINEKEN USA released their 2011 Sustainability Report, outlining the leading upscale importer’s progress across its “Brewing a Better Future” agenda. Improvement was made in several vital areas of the business, including environmental impact, people and community, and its alcohol-specific focus to promote legal and responsible consumption. Introduced a high-mileage hybrid car into its corporate fleet in the U.S. The full HEINEKEN USA sustainability report will be available online atwww.heinekenusa.com/reporting_2011, and the global version, is available atwww.sustainabilityreport.HEINEKEN.com. Comments or questions on the report may be sent to Suzanne McGovern, Manager, Sustainable Development & Alcohol Policy at smcgovern@heinekenusa.com. HEINEKEN USA Inc., the nation’s leading upscale beer importer, is a subsidiary of Heineken International BV, the world’s most international brewer. European brands imported into the U.S. include Heineken Lager, the world’s most international beer brand; Heineken Light; Amstel Light, a leading imported light beer brand; Newcastle Brown Ale, the leading imported ale in the United States; and Buckler non-alcoholic brew. HEINEKEN USA is also the exclusive U.S. importer for the Dos Equis, Tecate, Tecate Light, Indio, Sol, Carta Blanca and Bohemia brands from Mexico. For a safe ride home, download the HEINEKEN USA–sponsored Taxi Magic™ application from your smartphone at taximagic.heineken.com. Please visit www.EnjoyHeinekenResponsibly.com. This press release first appeared on CSRwire. 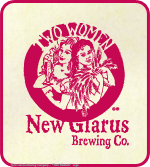 Finally a beer just for women! Finally a beer just for women, reads the tagline of the website for chick, a new “premium light beer” marketed toward women. In case you miss the female reference in the beer’s name, the pink and black six-pack case might alert you, as it’s decorated to look like a purse. And if somehow you miss all of those signals, there is the little black dress replete with hourglass figure on the bottle itself. I wouldn’t say I’m upset. More like annoyed, and tired of the ridiculous gendering of products. Beer marketing is notoriously male-focused and sexist (super bowl anyone? ), so I’m all for new advertising that doesn’t fall into sexist stereotypes. This beer unfortunately just swings the other direction–trying to reach women via outdated stereotypes about what women want. Witness the chickness! says the six pack. Witness me puking a little bit in my mouth. Chick isn’t the first alcoholic beverage to go in this direction. Skinnygirl cocktails is a new (and extremely successful) product out on the market thanks to Bethenny Frankel, a reality tv star. I think gendered marketing is silly and serves simply to reinforce the gender binary that gets reinforced so much that we’re practically getting beaten over the head with it. Let us tell you the cool story of how Chick Beer happened. After two years of effort, Chick Beer is our answer. Chick is a craft-brewed light beer that doesn’t taste like a light beer. It has just 97 calories and 3.5 carbs. The taste is soft, smooth and full-bodied. It’s the taste that most women prefer. You’re going to love it. So we decided to turn the pejorative Chick upside down, and to use the word as a statement on the strength and power of women. We also decided that this Chick would be anything but subtle: Bright pink packaging with a purse; LBD on the label; and an over-the-top feminine font; just to be absolutely certain that no one could mistake it for dude beer. Chick Beer. Not every woman likes the idea, and some men seem to be threatened by it. But that’s always been the story with uppity Chicks, hasn’t it? When Canada’s brewers first started putting a deposit on their beer bottles in the 1920s, they did it because it was the best way to cut bottling costs. Then, in the 1970s, when governments began passing anti-litter regulations, the beer-bottle deposit was the best way to control littering. Today, when consumer businesses are looking for ways to reduce their environmental footprint, again, it’s the lowly beer bottle that is showing the way. You don’t have to look any further than the life cycle of a beer bottle to understand sustainability, said Brian Zeiler-Kligman, director of sustainability for the trade association Canada’s National Brewers. Recycling empty beer bottles in Canada was first introduced 80 years ago as an economic solution that benefited not only the breweries but their customers as well, said Zeiler-Kligman, who is to tell the story of the beer bottle at a Globe 2012 panel Wednesday. The beer bottle is the perfect example of the maxim that sustainable practices should be good for the bottom line as well as the environment, he said. For brewers, “the innovation story is really an old story,” Zeiler-Kligman said, referring to the post-prohibition origin of beer-bottle recycling. “The system itself came into place as an economic solution. The brewers put a deposit on the bottles because they wanted to get them back from the customer. That was the best way they could think of to do that: To provide the customer with an incentive to do that. It’s been operating that way, with a few minor tweaks ever since prohibition ended. His advice on developing sustainable consumerism is to look first at the economics of it and, make sure that any program provides an incentive to the customer. 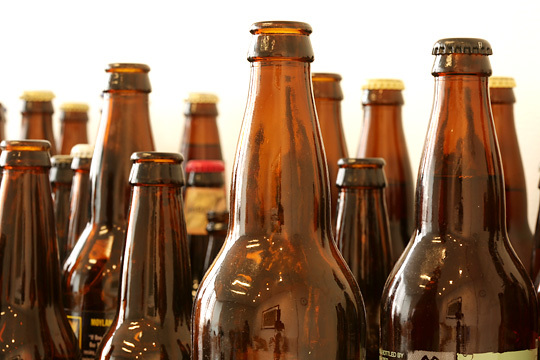 Ninety-seven per cent of all beer bottles in Canada are recycled, he said. returning to the brewery as empties in the same truck that delivers fresh beer to retailers. And each bottle is used from 12 to 15 times before it goes into a glass recycling line, where it is broken into chips and sold back to the glass manufacturer. When you add up the impact all those bottles have on the bottom line for those three companies, it is staggering: In Ontario alone, consumers buy 1.2 billion bottles of beer, but brewers only needed to buy 93 million bottles. At 10 cents a bottle, those recyclable bottles add up to a sustainable industry valued at over $100 million. Developing a successful return program did not just happen, however. It took cooperation among breweries to use a standardized beer bottle, something that the three major breweries that comprise the association — Molson, Labatt and Sleeman — still support. In B.C., Canada’s National Brewers have stewardship responsibility for beer bottles and cans from 23 domestic breweries and distillers. The industry has since put other innovations in place related to other sustainability issues, such as water consumption and energy consumption, and they have all followed the same principle: it has to make economic sense. It’s not just the beer bottle that is an icon of sustainability. The packaging the bottles come in is equally designed to be sustainable. Take the beer case for example. The beer comes off the assembly line and is packaged in cardboard cases with a built-in handle. The beer is delivered by the case to the retailer, who also sells it in the case. The consumer buys it in a case, drinks the beer and return the bottles in the original case to the retailer, who in turn sells the case of bottles back to the brewery. It’s only then, when the bottles are back on the line to be washed, that the case is taken out of the stream crushed and baled with other cases and diverted to a recycling program. Surprisingly, other beverage recycling programs are not as successful. In B.C., where consumers prefer beer cans to bottles, there’s a lower rate of return even though the deposit is the same. And other alcoholic and non-alcoholic beverage bottles and containers have a far lower rate of return, only 80 per cent, according to the website bottlebill.org. Zeiler-Kligman attributes the high success rate for the beer bottle return program to the fact that it has been around so long. Other beverage packaging refund programs are more recent. Check this out! I love the creative use of waste. Fans of beer will soon have yet another reason to imbibe, when a new partnership between Anheuser-Busch (now AB-InBev) and a company called Blue Marble Bio takes off. 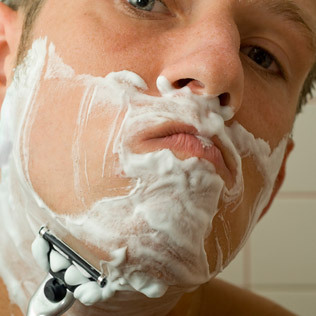 The two firms have launched a venture to convert brewery wasteinto a group of carboxylic acids that have a wide variety of commercial uses, including the manufacture of shaving creams and soaps. This renewable source of carboxylic acids will help the chemical industry along as it transitions out of petroleum-based formulas, and as a side benefit, the process also yields biogas that will be used to generate renewable electricity. With the new venture, Anheuser-Busch also pushes the “green beer” movement up a few notches beyond the kind of measures that have become expected from responsible beverage companies, such as water conservation, waste reduction and the installation of renewable energy. Biogas capture is becoming common at breweries and food production facilities (and dairy farms, too), but Blue Marble Bio’s approach is somewhat unique because of its focus on producing carboxylic acids. Carboxylic acids, aka fatty acids, naturally occur in both animal fat and vegetable oil. Among the more common ones are acetic acid, benzoic acid and formic acid. Their industrial uses are pretty ubiquitous, ranging from things that go in your body or on your skin like food preservatives, pharmaceuticals, cosmetics and personal care products, to other stuff including rubber, fabrics and solvents. As far as the emerging trend in non-petroleum “green chemistry” goes, the trick is to produce carboxylic acids on an industrial scale, at a competitive price, without using conventional processes that involve fossil fuels or rare earths. Like beer making, the Blue Marble process is based on fermentation, in which bacteria break down biomass as they digest it. Since the bacteria do most of the heavy lifting on their own, relatively little energy input is needed. If you’ve been reading up on your biomass-to-biofuel news, the fermentation angle might ring a bell. A good deal of current biofuel research deals with identifying “extreme” microbes that are adept at breaking down the tough cell walls of woody, non-food biomass. In addition to looking for highly efficient naturally occurring bacteria, researchers are also exploring the potential for genetically engineering a kind of biofuel super-bug. Blue Marble Bio began testing waste grain from Anheuser-Busch about a year ago and is scaling up the process for a small facility in Missoula, Montana. If all goes well, Blue Marble will develop a pilot-scale biorefinery at an Anheuser-Busch brewery at a yet to be identified location. As for what the beer maker gets out of it, the company gets the benefit of cutting down on its waste disposal costs and brewery emissions (natural sulfur capture is part of the deal), along with developing a new market for spent grain aside from selling it for livestock feed. That puts a nifty green spin on every six-pack you buy, but for those who are uncomfortable around alcohol-related products the AGATE process also deals with non-brewery biomass waste including agricultural waste, yard clippings, wood chips, and food byproducts. Blue Marble also recently partnered with the University of Montana to adapt the process for algae. That would serve as a sustainability twofer, since the growing algae would capture waste carbon dioxide from the process. With the solid backing of one of the most iconic brands in the U.S., next-generation sustainability is becoming firmly ensconsed in the cultural mainstream. Alongside American beer, you can also count professional sports and the U.S. military as early, enthusiastic adopters of new green tech. I dissolved the yeast in some warm water and let it sit for five minutes. I added the sugar to slightly warm water so that it would dissolve well. Then I added the yeast mixture and the vanilla and then stirred and bottled. I hope that it will come out well. I will update when it is ready. This article by Daniel Fromson in the November 9, 2011 New York Times discusses the revival of hop farming. “Are you familiar with the hop barns of Madison County?” his wife, Karen, asked from the back seat. She was referring not to some steamy romance novel, but to a romantic past: the days when hop barns, those squat, often turretlike structures housing charcoal fires, perfumed the air of central New York with the scent of drying hops. Resinous flowers that give beer its bitterness and flavors of pine, herbs and fruit, hops were a huge part of the local economy in the late 19th century, when New York State grew up to 90 percent of the nation’s supply. But the business withered as beer production became industrialized. Nearly a century later, the Katleskis and other farmers and craft brewers are trying to revive the region’s hop culture, harnessing the current passion for all things local and artisanal. Just as they and brewers around the country are turning to barley, wheat and other ingredients grown locally, New York beer makers are increasingly using local hops. 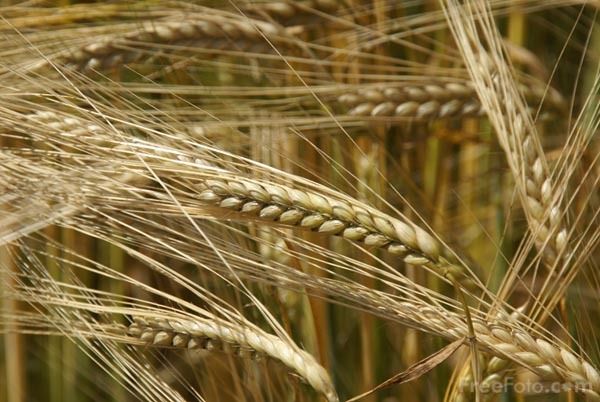 Some, like the Ithaca Beer Company and Brown’s Brewing Company in Troy, are planning next year to open so-called farm breweries that will raise the crop themselves. Here in a small organic garden, Mr. Katleski has been growing hops for the Empire Brewing Company, his brewpub in nearby Syracuse, since 2009, and he hopes someday to brew using only local ingredients. The two hop barns he plans to build in the spring will be largely decorative, forming the facade of his Empire Farmstead Brewery, a 20,000-square-foot production and canning center flanked by hop trellises and vegetable gardens — a sort of hop chateau. Wine terminology is not out of place. 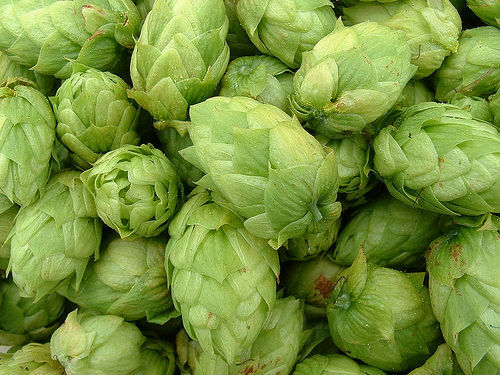 Dozens of hop varieties, some scarce and highly sought after, are used in brewing around the world, and connoisseurs say they lend flavors and aromas to beer that are as distinctive and varied as those that grapes and soils give to wine. 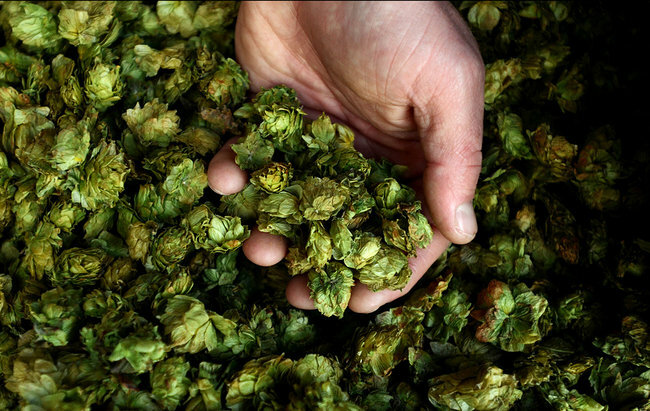 Mr. Katleski, president of the New York State Brewers Association, said that although New York brewers sometimes use local examples of hop varieties grown in, say, the Pacific Northwest, their beers taste vastly different. So does much of the inspiration for a hop renaissance: Near several breweries lie the vineyards of the Finger Lakes, which have not only won an international reputation but also spawned a side business in tourism. “We’re trying to create a beer culture in the area, much like you have a wine culture,” said Jeremiah Sprague, a home brewer and full-time vineyard employee who recently helped oversee the first major harvest at Climbing Bines Hop Farm in Penn Yan, which overlooks Seneca Lake. With his high-school friends Chris Hansen and Brian Karweck, Mr. Sprague is transforming the site into a farm brewery where hops will be grown and dried. “The coolest thing we’re going to have,” he said, “is the ability to offer some estate-hopped ales,” the fruits of the roughly 1,500 hop plants the farm has already cultivated. A principal goal of the revival effort is agritourism that demonstrates where the ingredients come from. Visitors to Climbing Bines will see that hop vines resemble bushy green telephone poles, and will taste the wide differences among varieties, from grapefruity Cascade to earthy Fuggles to intensely bitter Nugget. Education is even built into the farm’s name: Hop plants are not vines that climb with help from tendrils or suckers, but bines — stems that wrap in spirals around their supports. Homegrown beers are not unique to New York. 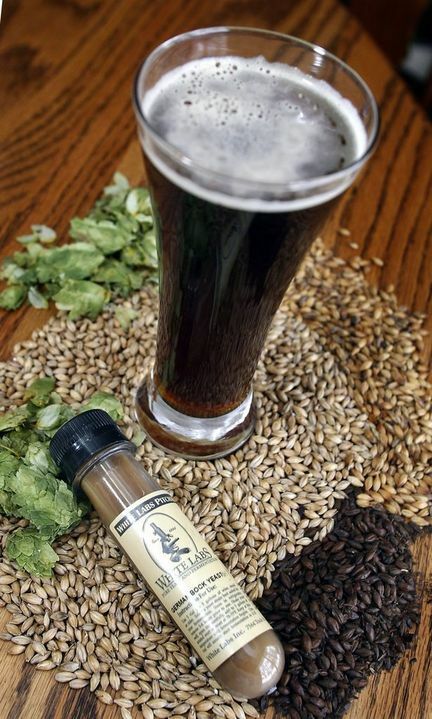 The Sierra Nevada Brewing Company in California and Rogue Ales in Oregon have become known for “estate beers” containing their own hops and barley, a niche pioneered in the 1990s when several California wineries started breweries. Farm breweries have sprung up recently in the East, from New England to North Carolina. But an unusual concentration of hop farms is emerging in New York, fueled by local history and embodied in a pastoral symbol: the hop barn, where farmers dried, stored and baled their crop for shipping as far away as England. In 1889, The New York Sun reported a “mania” for hop farming: “A prominent hop-grower describes it as being simply the spirit of Wall Street carried afield.” The industry was destroyed by aphids and mildew, competition from the Pacific Northwest and Prohibition. Becca Jablonski, a former agricultural specialist with the Cornell Cooperative Extension of Madison County, said the New York hop revival began in 2000 when enthusiasts gathered to preserve the few remaining barns. Several growers formed the Northeast Hop Alliance, which had at most 10 members until last year, when its first big hop-farming workshop increased the ranks tenfold. Steve Miller, whom the cooperative extension installed in May as New York’s first hop horticulture specialist, predicted that statewide acreage devoted to hops would more than double next year, to over 100 acres. Many brewers are excited by the past they are restoring. Randy Lacey is building a classic pitched-roof hop barn near Ithaca to house his Hopshire Farm and Brewery, where he will use waste heat and a wood-fired boiler to dry his hops as traditionally as possible. Mr. Katleski, meanwhile, has been working with State Senator David J. Valesky and Assemblyman William D. Magee to promote a bill, modeled on a 1976 law that jump-started the state’s wine industry, that would create a special license for farm breweries that use a designated percentage of New York-grown ingredients. The bill, which would reduce licensing costs and logistical barriers to tourism, has encountered no opposition, Mr. Valesky said. Even if the legislation passes, the state’s farm brewing movement will be slow to develop. Hop plants take three years to reach maturity, and harvesting and processing equipment is scarce. Still, the growers who have dabbled in hops, harvesting mostly by hand, say technology suited to their small farms is becoming more available. Ultimately, what they are betting on is the sense of place that their products will convey, a selling point that is nowhere more evident than on the western shore of Seneca Lake. Sandwiched between vineyards, Climbing Bines Hop Farm slopes toward the water; a hop trellis fashioned from 150 black locust tree trunks stands postcard-ready. Not sure how hops smell or taste? Here are a few widely available brews that hint at the many possibilities. Samuel Adams Boston Lager The best-known American craft beer made with “noble hops,” central European varieties with floral, spicy aromas and minimal bitterness. Bass Pale Ale A good example of the muted earthy, woody flavors and aromas associated with English hops. Pilsner Urquell The spiciness of the Saaz hop, a noble Czech variety, complements the crisp, clean taste of this archetypal pilsner. Sierra Nevada Pale Ale The beer that popularized Cascade hops, whose piney, citrusy profile, which is typical of many American hop varieties, has made it a mainstay of domestic pale ales. Stone India Pale Ale In West Coast IPA’s like this one, American hops add intense herbal and citrus fruit flavors and a pronounced bitterness. Dogfish Head 60 Minute IPA A more restrained IPA typical of East Coast versions of the style, in which citrusy American hops are balanced by large doses of malt.